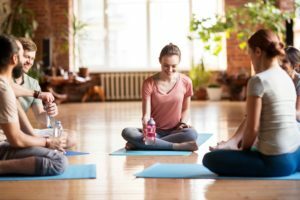 Why do a Yoga Teacher Training Course? For some of you, signing up for yoga teacher training and coming to the first class might make you feel a bit nervous. It takes many yoga teachers courage to teach a yoga class, even years after they first began teaching. Yoga teacher training is a great way to break down barriers and exceed your own expectations. You will learn about human anatomy, the history of yoga, and how to incorporate Ayurveda into your everyday life. You will learn things that you never knew you actually wanted to know, and you will revolutionize the way you relate to your yoga practice. Meditation is radically under-used in the Western World’s adaptation of ancient yogic principles. There is a lot of focus on physical asanas and not as much attention on training the mind. Chances are you will get the opportunity during your training to meditate. Love it or be challenged by it, most of you will find it becomes part of your everyday practice. One of the most wonderful aspects of yoga teacher training is that everyone in your class is there to learn and is just as curious as you are. There are no wrong questions, so ask away! The knowledge and support you can gain from your instructors and fellow trainees might surprise you! Friendships created through yoga teacher training are the best kind because the are sparked within an atmosphere of non-judgment. Everyone is exactly who they are, and with that feeling of support and comfort comes a lot of fun. These friendships help you keep a lighthearted attitude that reminds you to not take yourself too seriously. At some point on your training journey, there will be struggle. But know that you’re not doing this alone. 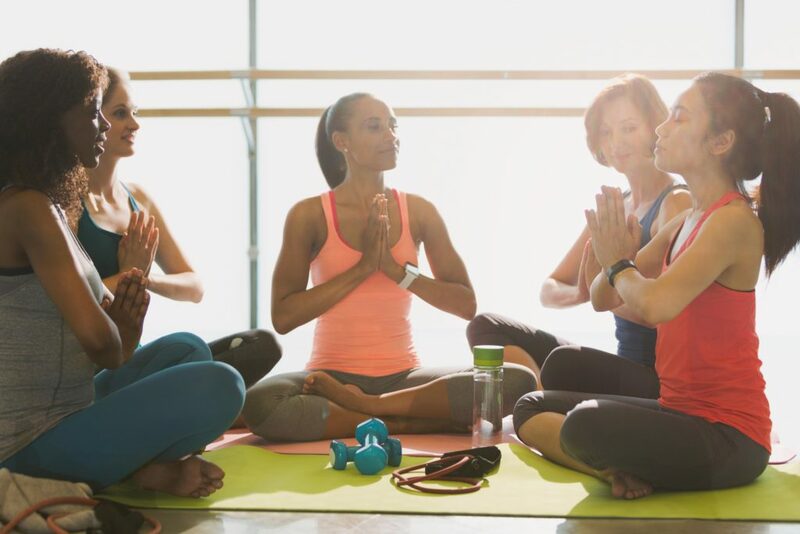 Whether it’s finally pronouncing that Sanskrit word correctly, or finding the courage to teach your sequence in front of the whole class, you will have a group of your own personal cheerleaders. Every one of your fellow trainees will struggle at some point. What sets yoga teacher training apart from anything else is the level of mutual support and respect you show each other. When you move your body in harmony with the breath and your own subtle energy system – your mind expands. Yoga teacher training expands your worldview making many things not only visible but possible in your life. You will pleasantly surprise yourself throughout the process. You will come out on the other side of challenges better off than you were before. Challenges will come in all shapes and sizes. They might include learning the correct way to cue an essential pose or deciding how the eight limbs of yoga can be incorporated into your current spiritual beliefs. Regardless, when you look back on the whole experience, you’ll find all your challenges had positive outcomes. You’ll come to find that your fellow classmates end up being friends that support you through all of life’s ups, downs, and milestones. You’ll find comfort in friendships that allow you to truly express yourself, without judgment. The bottom line is that finding people who share your same values and interests is how you form lifelong bonds. These people end up feeling more like family than classmates. Your yoga tribe is the family you get to choose. During your training, you will nurture love and compassion for others. What you might not expect is that you will also learn to cultivate self love. Being surrounded for 200+ hours by your fellow teachers and trainees will allow you to see the best parts of yourself. Being forced out of your comfort zone, you will learn more about yourself than you ever imagined. The most important reason to attend yoga teacher training may just be your newfound love for yourself. Everyone’s journey during yoga teacher training is unique. You will learn different lessons, but it will undoubtedly change your life. It is a worthwhile journey and a once-in-a-lifetime experience that you won’t regret! Take the leap and get started on one of the biggest adventures of your life.